A Jungle Gym Jam family music performance is a natural fit for most public libraries in the U.S. mid-Atlantic states. 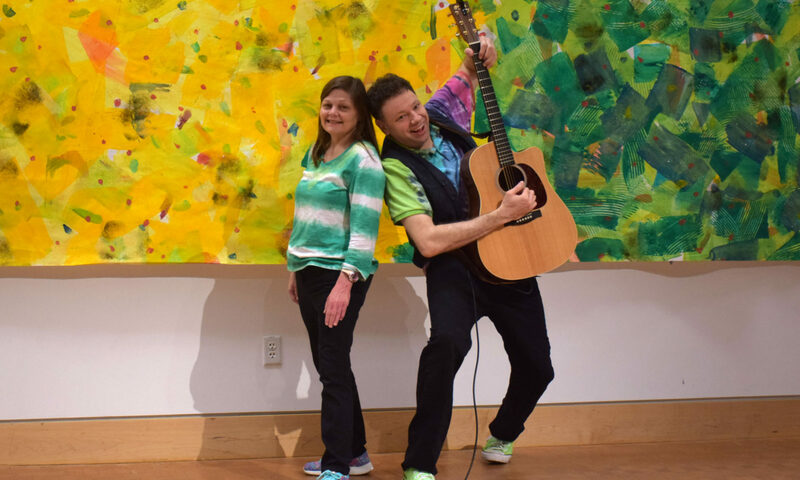 Though summer reading programs tend to create a peak season, these fun, interactive musical performances will delight and engage your community year-round. 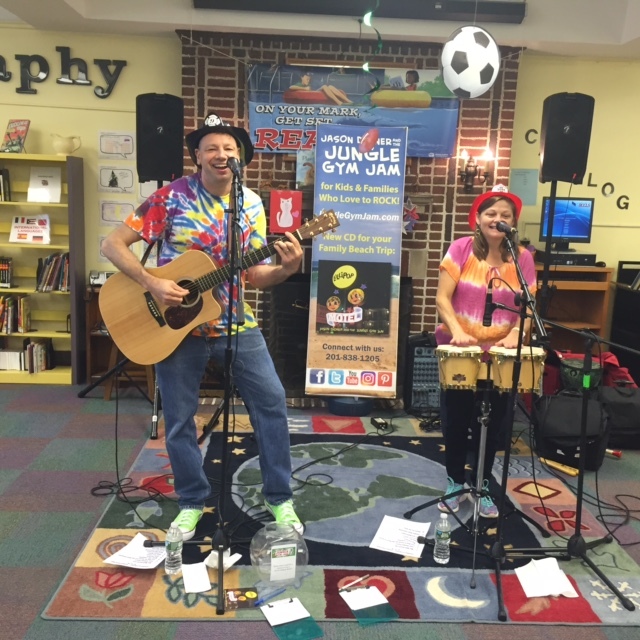 Most library shows are performed as acoustic duos, to best fit a library’s budget and indoor space needs, but the Jungle Gym Jam are no strangers to bringing a full band and rocking out, such as when a library wants to bring a show outdoors or has an auditorium. Watch video footage of a Jungle Gym Jam acoustic performance of their original song “Your Happy Place” below to get an idea of how kids interact with the duo. Check the Jungle Gym Jam’s live performance calendar to make sure the date you’d like is not already booked. If you have questions or would like to book the Jungle Gym Jam at your library, call 201-838-1205 or email info@junglegymjam.com.